CLÁR (Ceantair Laga Árd-Riachtanais) is a targeted investment programme for rural areas that aims to provide funding for small infrastructural projects in areas that experience disadvantage. The aim of CLÁR is to support the sustainable development of identified CLÁR areas with the aim of attracting people to live and work there. The funding works in conjunction with local/Agency and other Departmental funding programmes and on the basis of locally identified priorities. There is an allocation of €5million in total for 2018, of which, up to €4 million is available under 2 measures to be operated via Local Authorities for a range of School and Community projects. The 2018 scheme will allow for applications to be submitted to the LA from Schools, Community Groups and also from Local Development Companies. Up to 15 applications in total, between measures 1and 2, may then be selected by the LA, providing that they are of sufficient quality and are consistent with developmental planning at a local level, LECP’s, Town plans and any other relevant plans, for onward submission to the Department for its consideration. Applications under measure 1 may include a number of different elements (see detailed measure outline below) in respect of a single facility (school or community) up to the maximum funding limit outlined in the measure. Please note that applications in respect of each separate facility must be submitted on a separate application form. Application forms detailing projects in respect of multiple facilities will not be considered. The Department will select a number of projects in whole or in part and will take the proportion of the county that is within CLÁR into account in the decision making process (e.g. Clare has more than 120 District Electoral Divisions (DEDs) in CLÁR, whereas Wicklow only has 7). Where facilities have received funding in the past, particularly under CLÁR 2017, the Department may take that into account when making final decisions regarding project selection and may prioritise those that have not received funding previously. Where the LA intends to submit applications under both measures, it would be helpful, in the context of the decision making process, if the application indicated which projects the LA itself would prioritise in the context of planning at a local level. Applications should be submitted on the relevant application form for each measure and all relevant details should be inserted in the enclosed template also. It is important that both the application form and the template listing the projects submitted for funding, are completed correctly. It is also important that all additional/supplementary documentation is submitted with applications. Please Note: Where the application form or the template is not completed correctly, or where any additional/supplementary documentation is not submitted at the time of application; the application may not be considered further. It is expected that the LA will take a lead role in the delivery of many of the projects approved by the Department. However, it is envisaged that LDC’s may, with the agreement of the LA and the relevant community applicants, be permitted to take on the project delivery phase. In such cases the Department will enter into a contract directly with the LDC and not the LA. Projects to be delivered by the LDC should be clearly identified on the project application form and the template provided. Applications should detail all of the costs associated with the proposed project and only items of a capital nature that are integral to the project should be included. All administration costs/professional fees associated with the proposed project should be kept to a minimum and be clearly detailed on the application form. Such costs will be eligible up to a maximum of 12.5% of the overall project costs. 100% after certification by the LA/LDC that the project has been completed. Drawdown requests for payment should only be submitted by the LA/LDC when the LA/LDC has itself incurred the expense. 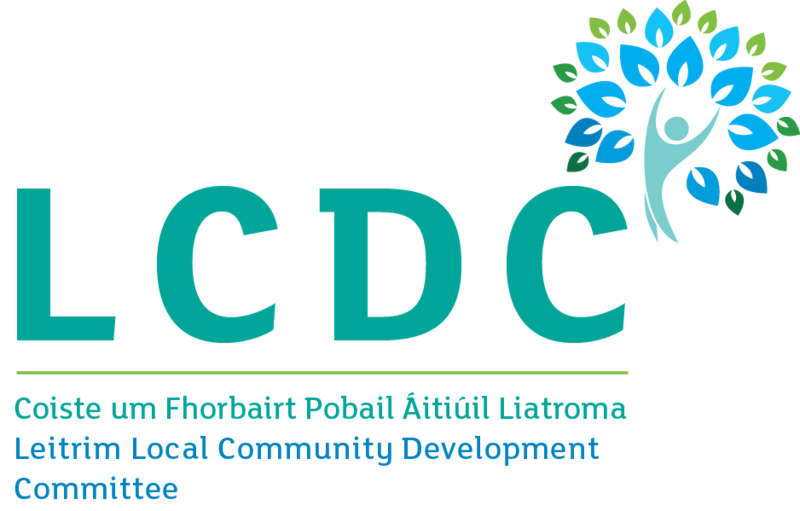 It is not acceptable that a drawdown request be submitted to the Department if invoices etc submitted to the LA/LDC by community groups/contractors remain unpaid. Phase payments may be possible in limited circumstances and on a case by case basis following submission of case details to the Department. CLÁR 2018 will consider support for interventions that make the school/community facility environs healthier and safer for the children attending the schools, and for children and adults using the community facilities. In this context the table below outlines the supports eligible for funding in CLÁR areas under this measure. The list below is definitive and based on the projects funded through CLÁR in 2016/2017. Eligible Applicants: Schools, Community Groups, Local Development Companies, Local Authorities. relevance to the LECP/other plan. A minimum grant of €1,000 and maximum grants as listed in the table above will apply to this measure. The scheme will provide up to 90% of the cost or the maximum amount outlined in the table above, whichever is the lesser. The remaining 10% or balance of the cost should be provided through Local Authority/community/other resources with a minimum of 5% cash contribution from the School/Community. It is proposed to run a specific Play Areas measure as part of the 2018 Programme. CLÁR 2018 will consider support for the enhancement of existing and/or the development of new School/Community Play areas. 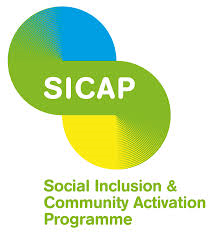 A minimum grant of €5,000 and a maximum grant of €50,000 for projects will be available. The maximum grant payable will be 90% of the project cost or a maximum of €50,000, whichever is the lesser. The remaining 10% or balance of the cost should be provided through local authority/community/other resources with a minimum of 5% cash contribution from the School/Community. There is an allocation of €1M under the CLÁR programme for the First Response Support Measure. This measure will be operated directly by the Department of Rural and Community Development and is open to established organisations/groups that operate entirely on a voluntary basis, and are involved in emergency rescue/first response efforts. It is important that applicant groups/organisations are formally established e.g. registered charity or not for profit etc. and are recognised, by public service bodies such as An Garda Síochána and the HSE, as an acceptable supplementary support body in relation to such activities. Given the nature of the possible activities involved in relation to this measure and the need to ensure that support is made available to organisations/groups that are acceptable as part of the wider emergency response systems; applications will only be considered from organisations that can fully demonstrate this. In that regard it will be necessary to provide information/certification regarding the formal establishment of the group/organisation and also that demonstrates the status of the group/organisation from either An Garda Síochána or the HSE, in support of the application. In addition, where applicant groups are members of a National/Regional organisation, all applications must be submitted centrally by the National/Regional organisation with an indication of prioritisation in the context of limited funding. In this context the funding to such applications may be limited to €200K per organisation. Please note, that where groups have received funding in the past, particularly under CLÁR 2017, the Department may take that into account when making final decisions regarding project selection and may prioritise those that have not received funding previously.